The Purps of BC Bud Depot are feminised cannabis seeds from good and stable quality. She has won several prices, including the 3rd price on the High Times Cannabis Cup in 2007 and 2009. This weed plant is an absolute winner for foodies. BC Bud Depot The Purps are weed seeds that are appropriate for an indoor grow and outdoor grow. Growing this cannabis will deliver you a nice yield with delicious smelling purple buds. This weed plant is easy to grow but needs some care. The effect of smoking this weed is enlightening with a happy high feeling. The intense fruity red berries taste will surprise everyone! 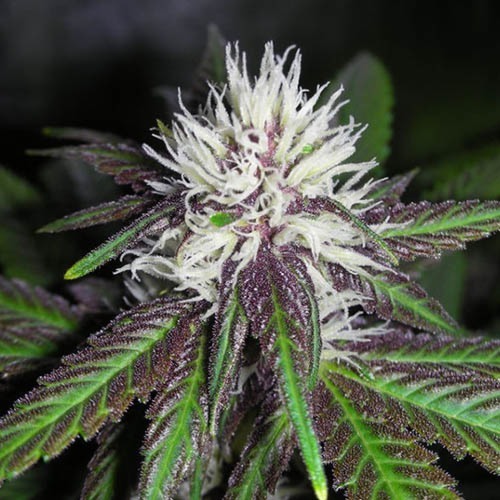 Growing cannabis from these feminised cannabis seeds provide you a delicious purple strain with a nice yield! Tell us and our customers what you think of the The Purps from BC Bud Depot.